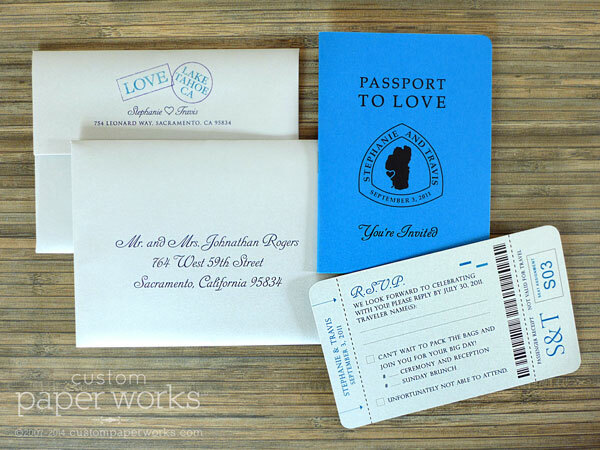 Amanda saw one of my older passport program designs and wanted to use them for her own wedding. So the design was modified just a bit to create the exact look she wanted. Thanks to Molly Ann Photography for sharing the image. 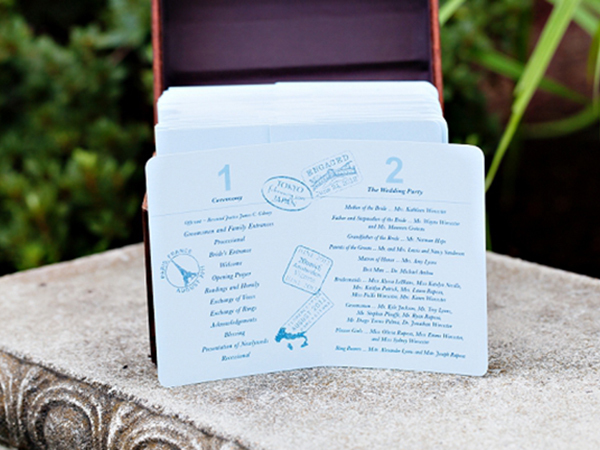 Amanda and James incorporated TONS of great travel-theme details at their reception, so be sure to check them out on Molly Ann Photography’s site. 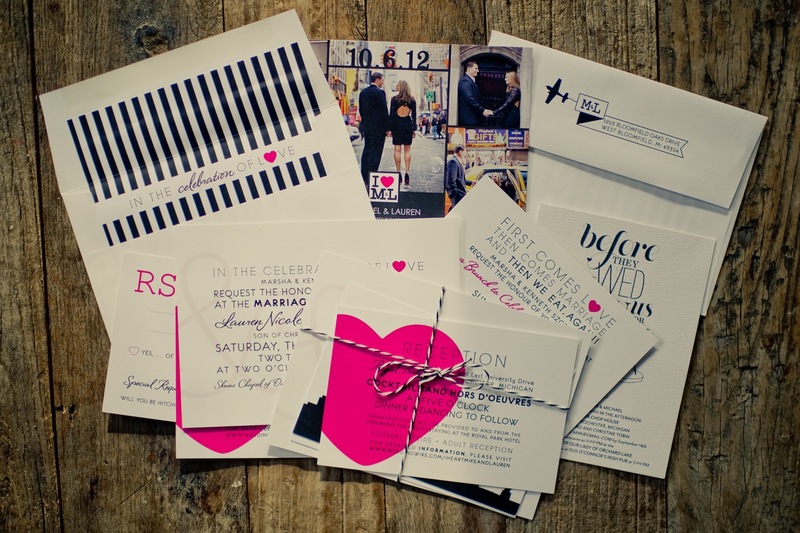 I love seeing wedding stationery incorporated into the pro shots and especially wedding videos! Amanda’s videographer, McElroy Weddings in Boston, included them in the first minute of their wedding video trailer (at the :20 mark)!